I arrived in South Africa in July 2018 to do the RYA Ocean Yachtmaster. I intended completing the course at the beginning of November and being back in Cyprus immediately to begin my search for a boat. Then I met Chris de Kock, of Yacht and Power Sales and that was that plan out the window. Meeting Chris has led to the most amazing two months. And incredibly he's still there. Texting me asking how i'm getting on, offering advice, calling in if he's passing. The boat is based in Simon's Town almost ready for departure and it would have been a much more arduous journey without Chris' help. To rewind just a bit, Chris wouldn't have known me from Adam. I phoned, probably sounding like one of those tire kickers. I had four boats spotted that I wanted to see, three of them were with Chris. This is what happens when you while away an afternoon googling. Chris drove to pick me up in Wellington, miles from his own house, drove me to Simon's Town and Hout Bay and was the chattiest guy from the getgo. We saw Capensis first and I kinda knew immediately it was the one. Chris didn't push or prod, just let me take it in. Then we moved on and viewed the others. The thing about dealing with Chris is he asks you the right questions that start making you think about your purchase and your process in getting there. There are no grandiose statements, just an honest boat lover hoping he has met an equal enthusiast so he can talk boats. And boy does he know his stuff. My learning curve in the past two months is steep and I wouldn't have got to this level without his help. I always felt from the start that Chris had solid integrity and was a very straight and honest bloke. That thinking was on the nail. I'm about a week away from sailing Capensis back to the Med. If I hadn't met Chris I'd be already there twiddling my thumbs just looking. You're a smashing guy Chris, a new friend and mentor and I hope you come visit Maria and I when we settle down in the Cyclades. All the best to you in the future and I wish you safe seas and fair winds. I wanted to do this post a long time ago but the challenges of being on a long passage, lack of internet and adaptation to a totally different lifestyle made it difficult. I have been dealing with Chris for a long period of time and also bought my last boat through him. He does much more than you could ever expect of a broker. He sorted radio licenses, COF's boat registration with SAS and SAMSA with the minimum input from my side. He just makes all those things that has to be done when buying a boat seem insignificant but believe me, try to do it on your own and it is a nightmare. We left Cape Town in January for the Carribean when our autopilot started to give us trouble. With a husband and wife team this spelled trouble. I was at a loss who to contact on our irridium when I thought of Chris with all his contacts. While on our way to St Helena Island he organized spare parts and sorted out payments and delivery to St Helena Island as we could do nothing from our side. Three days from St Helena Island the autopilot packed up completely. If you ask Theresa today she will tell you that it was exactly 351,9nm to St Helena that we had to handsteer almost dead downwind on a monohull. It was tough but we made it. Upon arrival we were informed that the spares would be on the once a week flight which was the weekend after we arrived. Unfortunately the spares was not enough and we had to fly in a new autopilot linear drive. Again Chris was an absolute star and sourced a new linear drive and went through all the hassles of sending it to St Helena again. Nothing we asked of him was ever to much and two weeks later we were on our way. He did all of this for basically nothing although he could have asked me almost anything. What a great human being to deal with. If you ever consider to buying or selling a boat, Chris is your man. Keep up the good work mate! Where do we start... From the day we contacted you right up until the day we purchased our first yacht, it has been an amazing experience! You far exceeded our expectations, sourced us one of the best boats of it's kind, nothing was ever too much trouble and your service was outstanding! In an industry full of sharks (of which we met a few) you completely changed our perspective with your can do attitude, your extensive knowledge and willingness to assist with everything from paperwork, to repairs, to checking equipment, surveys and buying new electronics. You truly provide a one stop shop when it comes to boat brokering and sales. If we ever sell our dream boat, there is absolutely no question as to whom we will use for the sale and next purchase. We recommend you without reservations to anyone wishing to buy or sell a boat. We thank you once again and wish you every success in your business. You deserve to do extremely well! I trust this mail finds you well. I would like to thank you for all the effort you put in in making sure the purchase of Isabella was as smooth as it was. As you are aware I recently departed Cape Town on route to the Netherlands via Ludiritz in Namibia. Due to a few minor complications with the autopilot I was delayed along the way resulting in a day without wind and ended up in the middle of what was to become 3 days of absolute hell in one storm after the next. I won't try to explain the shear size of the waves, or the force of the winds but take my word for it that it was the perfect mix to destroy. I feel like a piece of biltong right now. Isabella could have handled much more. She is a phenomenal vessel. The words honest and salesman/broker are never used in the same sentence and that's common knowledge. BUT I would like to set any potential future clients minds at ease. When dealing with Chris at Yacht and Power sales you can be assured that as a buyer you will receive the best post purchase assistance in the market. A huge amount of paperwork is generated and Chris was amazing at keeping it under control and taking care of the bureaucracy while you can focus on your new vessel. Chris also has a very extensive network of great contacts from technicians to new electronic instruments. He knows who how when and how much. It's important to know that with Chris that it is not a case of once you have paid that's the last you see of him. He will be there until everything is properly completed. If you are a foreigner but not sure if it's worth the risk then rest assured dealing with Chris is your safest bet. What he says he will deliver he delivers. To sellers who are thinking selling out of hand... Rather sell through Chris. He works very hard for every cent of that commission he earns. He is incredibly experienced. I can also honestly say that if I ever have to sell Isabella she would go onto Chris books exclusively because he understands the buyer and he spends a huge amount of time making sure everything is done to the letter of the law and that the sale is done without hassles and complications. Good to hear, yes all is well. After I bought the ship we said goodbye and I stayed a few more weeks at Madagascar for repairs and outfitting. Then I sailed the ship to Tanzania as Madagascar is in the cyclone belt in the coming months. Will continue exploring the Indian Ocean North/Eastward for some time. We have had such a great experience with Chris de Kock at Yacht and Power Sales. Chris’ incredible attention to detail, efficiency, prompt communication, and positivity have been so appreciated. Our organization is based out of the United States, yet our vessel will remain in international waters (primarily in South Africa and Mozambique). Because of our unique setup, Chris de Kock was heavily involved in countless hours of paperwork and phone calls and registration details. He did an excellent job and made what could have been a stressful experience such a smooth and painless process. We would easily recommend Chris and Yacht and Power Sales to others! I'm just writing to thank you for all the hard work you did for us during the lengthy and complicated purchase of our new yacht. Being an international transaction with multiple currencies and national controlling authorities involved you did a sterling job. You have lots of patience and strong negotiation skills which benefitted us a lot. Keep up the good work and I'm happy to take calls from any potential clients wanting to use your services. I would like to extend my appreciation for the superb dealings with you regarding my recent purchase of Havanna Moon. It has been a real pleasure(which not all purchases have been in the past), because of your attitude toward this sometimes tedious task. and at all times did I perceive your input as honest and to the point. Never did I think you were 'inventing' things to make the sale. I think you were born to do this job and I will always highly recommend your services. I wish you and your business the very best for the future, and probably will meet again. I recently went in search of a second-hand yacht and was most impressed by the service provided by Yacht and Power Sales. Their broker, Chris de Kock, was highly professional, knowledgeable and honest and somehow understood my needs perfectly. 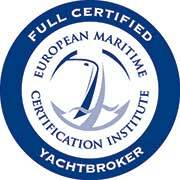 Comparing yachts was made easy thanks to the provision of detailed specifications and inventories. The whole process of inspecting yachts, managing the sale, sea trials and hull survey went smoothly thanks to his arrangements and good communication with all parties. He was even willing to assist with the administrative issues like transfer of yacht registration and ICASA licensing. It was a pleasure dealing with Chris and Yacht and Power Sales. We recently were fortunate enough to find our Dreamboat after an extensive search from Richardsbay to Dar es Salaam. After many disappointments and unscrupulous Agents we were pleasantly surprised at the exceptional service we received at the hands of Chris de Kock of Yacht and Power Sales. Not only were we impressed with his no nonsense approach but over and beyond what can be reasonably expected, he has been helpful in all respects. It has been the most pleasant experience to do business with this knowledgeable and passionate gentleman. Even now, months after the sale was concluded no request for help is turned down. Thank you Chris you are a CHAMP. New owners of Admiral 40 "TIME OUT"